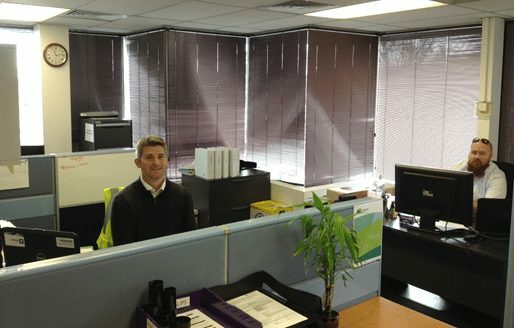 AE Smith Services Manager Simon Bennett, Operations Manager for Building Construction and Maintenance, Andrew Ingram, along with two Heating, Ventilation, and Air-Conditioning (HVAC) and electrical trades are based on-site at the Adelaide office. TechGuard’s Electronic Security Project Manager Michael Price and security technicians are also situated on-site, working on AE Smith’s new electronic security offering. The AE Smith SA Services team are currently establishing the Engineering Services Manager (Electrical) and Energy Manager roles within the new Royal Adelaide Hospital, steadily working towards building relationships within various PPP contracts by providing sustainable solutions and minor building projects to support the infrastructure. “The establishment of the AE Smith business within the Adelaide market provides us with an opportunity to expand our client base by offering our range of services including mechanical, electrical, energy, fire, hydraulics, security, plumbing and refrigeration,” said Wayne Long, General Manager for South Australia. Being located close to the Adelaide CBD gives AE Smith a central location to service all of our South Australian clients.